Fantasy football players are always looking to “free” the next big thing. David Johnson was buried behind Chris Johnson for far too long. Dion Lewis didn’t get a real chance until his seventh NFL season. Derrick Henry oddly languished behind DeMarco Murray until the playoffs last season. Jeff Janis … well, Jeff Janis still hasn’t been freed. Mahomes should not be flying under anyone’s radar. Back in college, he beat out Baker Mayfield for the starting quarterback job at Texas Tech, eventually leading to Mayfield’s transfer to Oklahoma. Mahomes threw for an outrageous 9,705 yards and 77 touchdowns in his final 25 college games. He was arguably the best quarterback in the entire NFL as a rookie last preseason, going 34-of-54 (63.0 percent) for 390 yards with four TDs and zero INTs on 97 snaps (roughly 1.5 games worth). He added eight rushes for 44 yards. In Mahomes’ only regular-season chance, he took the Chiefs’ backups into Denver Week 17 and threw for 284 yards with a TD in a 27-24 win. The Chiefs wisely identified Mahomes as their new franchise quarterback, trading Alex Smith for a third-round pick and slot CB Kendall Fuller in January. 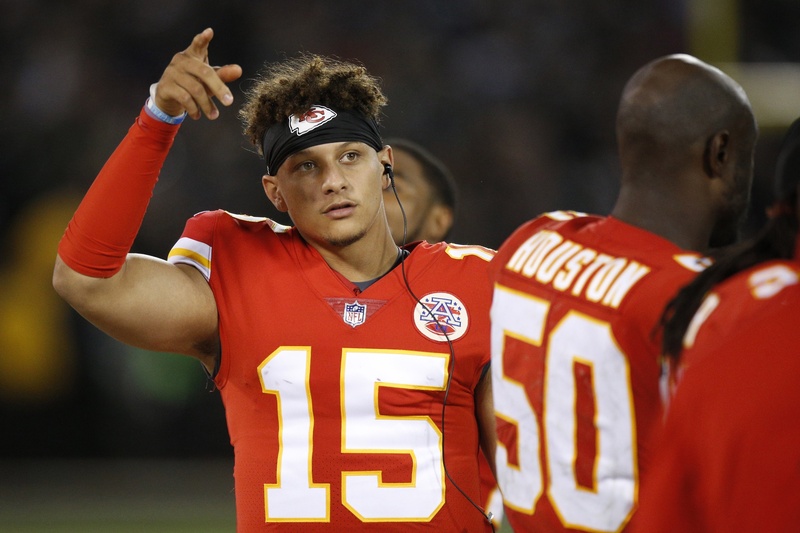 So Mahomes will have a full offseason to gel with some of the league’s best weapons (Kareem Hunt, Tyreek Hill, Travis Kelce, Sammy Watkins) in one of the league’s most pass-happy offenses (Chiefs passed on 59 percent of plays in 2017 despite ranking 10th in time leading per game). On top of all that offensive upside, the Chiefs’ defense quietly projects as a very leaky one, which will facilitate shootouts. Throw in Mahomes’ rushing floor, and we have the easiest late-round quarterback pick season-long owners have seen in years. 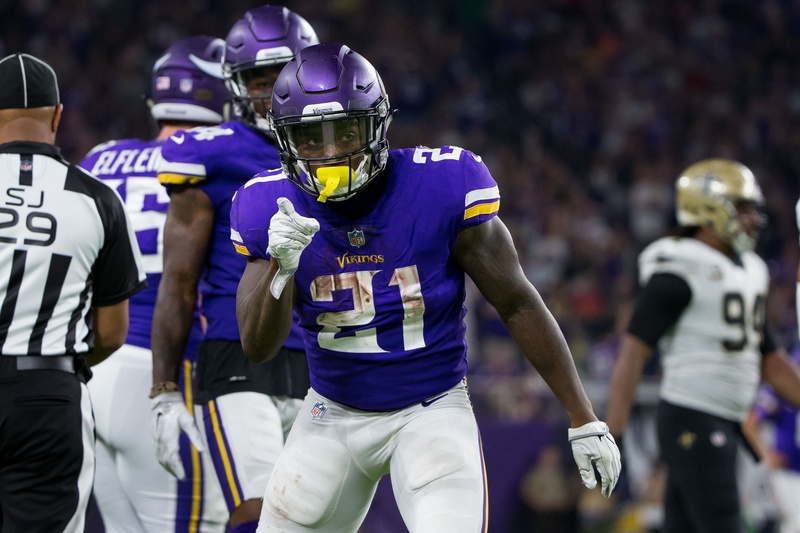 McKinnon never got a full chance in Minnesota, playing behind some woeful offensive lines and losing carries to Latavius Murray, Matt Asiata and Adrian Peterson. So the most exciting fantasy move of free agency undoubtedly was Kyle Shanahan handpicking McKinnon as his new main back in San Francisco. We know how these things go under talent-maximizing Shanahan, who has coaxed surprisingly big seasons out of Devonta Freeman, Alfred Morris and Steve Slaton in his career. K-Shanny’s decision to replace Carlos Hyde with McKinnon speaks volumes –- as does the $30 million contract. McKinnon is now the fifth-highest paid running back in the NFL in terms of average annual salary. With only Matt Breida behind him, McKinnon will be featured in an offense that averaged 28.8 points per game in Jimmy Garoppolo’s five starts last season. For reference, the Rams led the league at 29.9 PPG last year. We also can expect the SPARQ monster to be featured plenty in the passing game, where he’s caught 122 balls over the past two seasons as a part-time player. Burton was buried behind Brent Celek and Zach Ertz for the first four seasons of his NFL career. But after getting a $32 million contract from the Bears in free agency, it’s time for this flower to bloom. Burton has shined whenever he’s had an opportunity, netting a 33-295-4 career preseason line on just 275 snaps (roughly four full games worth). When Ertz missed two games last regular season, Burton went for a combined 7-112-3 line. So it’s really exciting to see what Burton can do with a full-time role and a creative, pass-first schemer in Matt Nagy. He’ll be used in the “F” role, the same position Travis Kelce played under Nagy in Kansas City. While the competition for targets appears thick, we should note Allen Robinson is coming off a torn ACL (and hasn’t played well since 2015), Taylor Gabriel is a gadget guy, Adam Shaheen is an in-line tight end and Anthony Miller is an intriguing but unproven small-school rookie. Burton’s current ADP is low relative to his ceiling at a position where there often is no ceiling. Smith-Schuster played behind Martavis Bryant for the first seven weeks of last season, logging just 63.4 percent of the snaps. 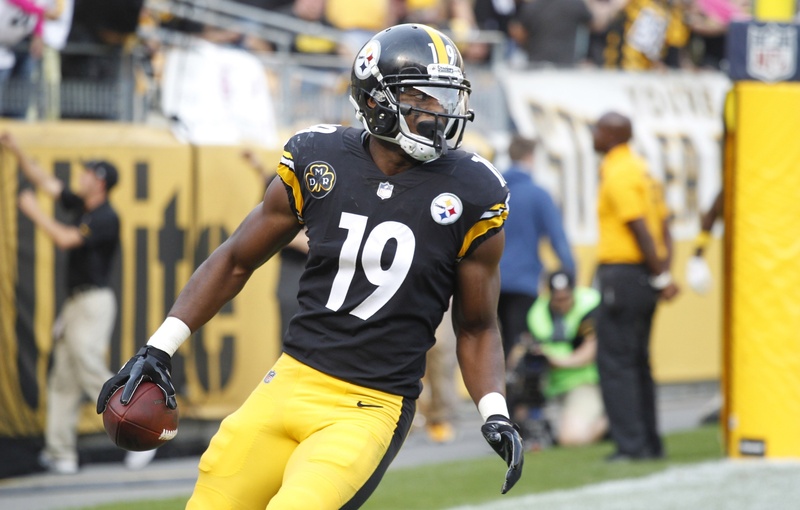 That wasn’t surprising as he was just 20 years old, and the Steelers were expecting big things out of the newly reinstated Bryant. But JuJu forced himself onto the field with exceptional play and ended up getting 89.6 percent of the snaps over his final six games (including the playoffs). The Steelers saw enough, trading away Bryant for a third-round pick on draft night and crowning Smith-Schuster their No. 2 wideout. It’s a big role as he’ll play both inside and outside and see tons of single coverage as Antonio Brown soaks up defensive attention. Smith-Schuster, who averaged 6.8 targets per game during that aforementioned six-game sample, has that as a floor heading into this season. 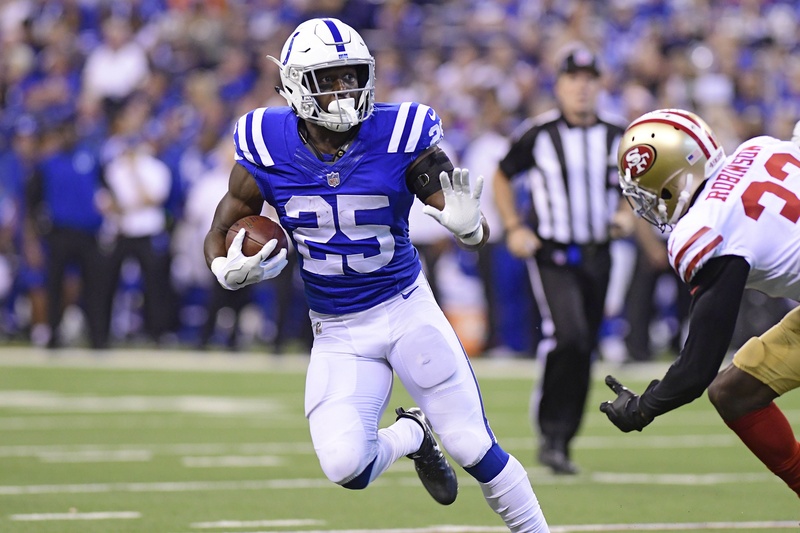 We’re entering the post-Frank Gore era in Indy, and there’s a lot of confusion. It’s assumed since Frank Reich used a heavy running back committee in Philly last season, he’ll do it again as head coach of the Colts this year. Maybe that’s the case, but Mack will enter camp as the centerpiece of that RBBC, and his competition is far from strong. Nyheim Hines is 5’8/198, and coaches already have said he’ll play a lot of receiver. Jordan Wilkins is a fifth-round flier. Robert Turbin is 28 years old and already been let go by three teams and Christine Michael only looks good getting off the bus. Meanwhile, Mack racked up 3,609 yards and 32 touchdowns in three years at South Florida and has feature back size at 6’1/210. If Mack’s shoulder is fine by camp and Andrew Luck (shoulder) is able to play, there will be value here. For more on Mack, check out Episode 193 of the Edge pod, featuring Matt Kelley. Bruce Arians, notorious for eschewing his tight ends in the passing game, is gone. He leaves behind an interesting prospect in Seals-Jones, who flashed in a big way in spite of Arians’ scheme last season. Seals-Jones played only 133 snaps and ran 70 routes (roughly two games worth) all season but posted an eye-opening 12-28-3 line. 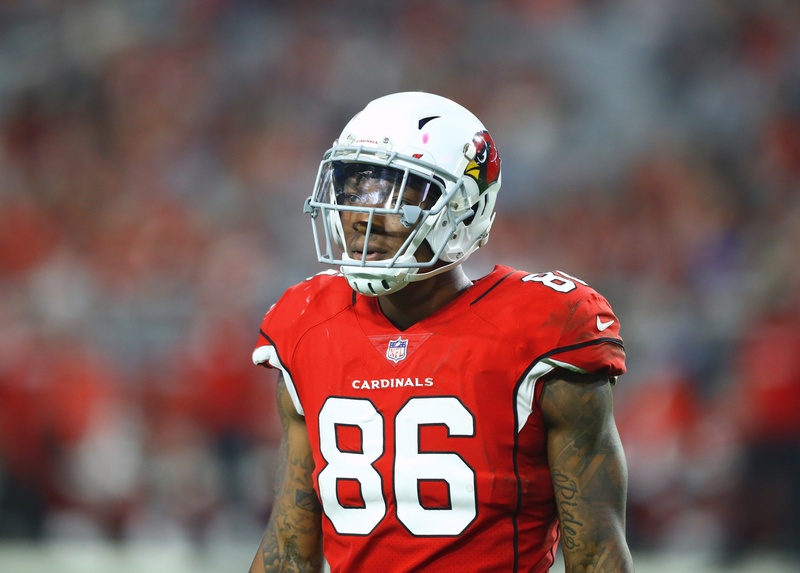 Seals-Jones, a 6-foot-5 former wide receiver prospect, now sits atop the depth chart as Jermaine Gresham recovers from a Week 17 Achilles tear. 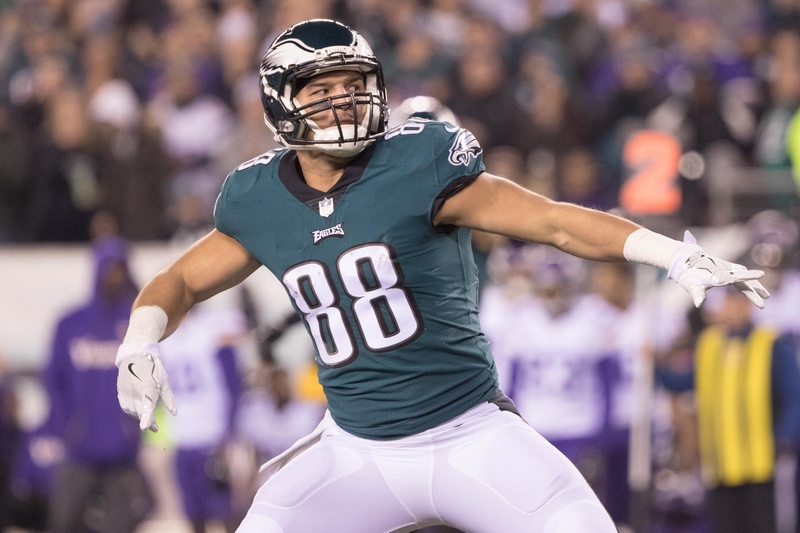 New quarterback Sam Bradford has shown high tight end target rates before, hitting Kyle Rudolph for 83-840-7 in 2016 and Zach Ertz for 75-853-2 in 2015. The Browns traded up to use a first-round pick on Njoku in 2017 but then grossly underutilized him. He played on just 46.9 percent of the snaps, oddly losing work to Seth DeValve. 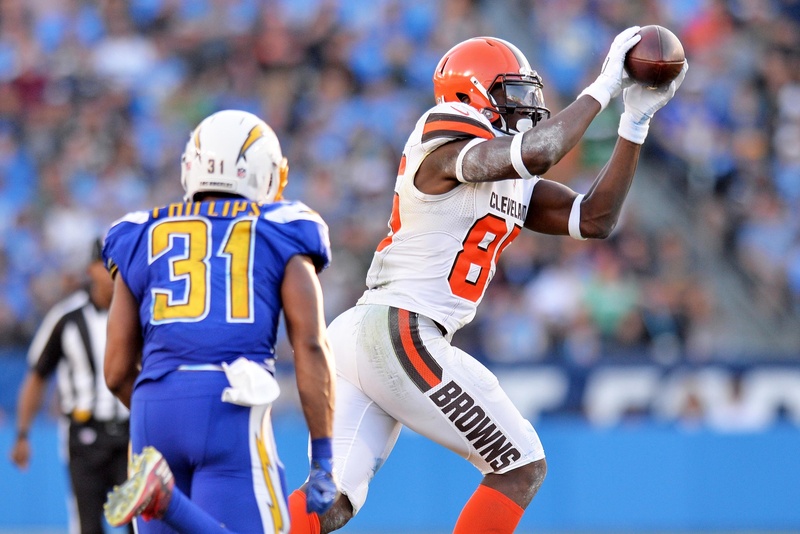 This season, the Browns reportedly will use Njoku as a full-time starter, which would be a wise move considering the skill set here. He goes 6’4/246, runs a 4.64, has a 93rd percentile catch radius and a 97th percentile burst score. His best comp in terms of measurables is Travis Kelce, via PlayerProfiler.com. There’s certainly a lot of pass-catching talent in Cleveland now with Josh Gordon, Jarvis Landry, Corey Coleman and Duke Johnson. But failing to free Njoku would be an egregious misuse of talent.